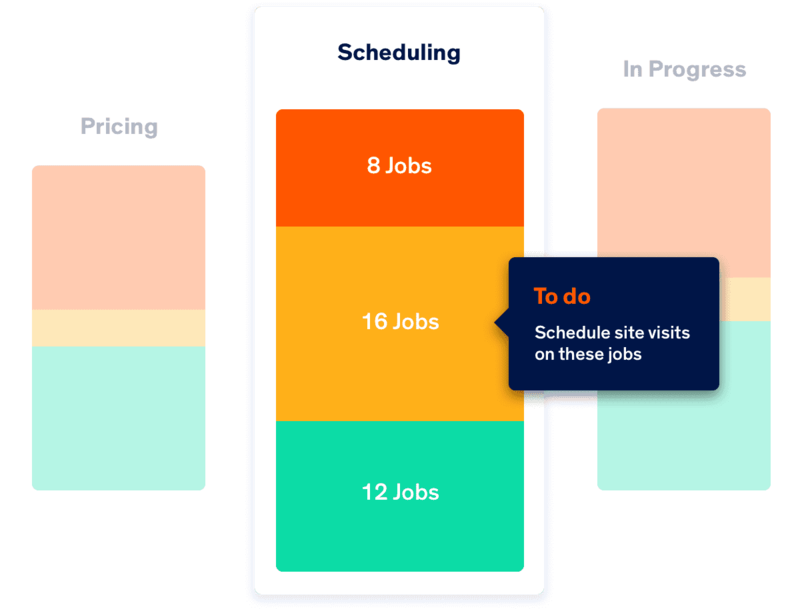 Whether it's two or two hundred, effortlessly keep track of jobs as you follow them from Quoting right through to Payment. See at a glance which jobs are progressing well and which ones need your attention. Click on sections of the Dashboard to see clearly which jobs have that status. Keep an eye on jobs that are waiting for supplier invoices to reconcile against them. Find anything related to a job in seconds, even years down the track. Never lose another supplier document. Access anything related to a job from the office, the job or on the run in the mobile app. Store every supplier document against the correct jobs for accurate job financials. Keep records of quote versions, variations, different site visits and more from within the job. Luke, NZ, Moore Power Ltd. 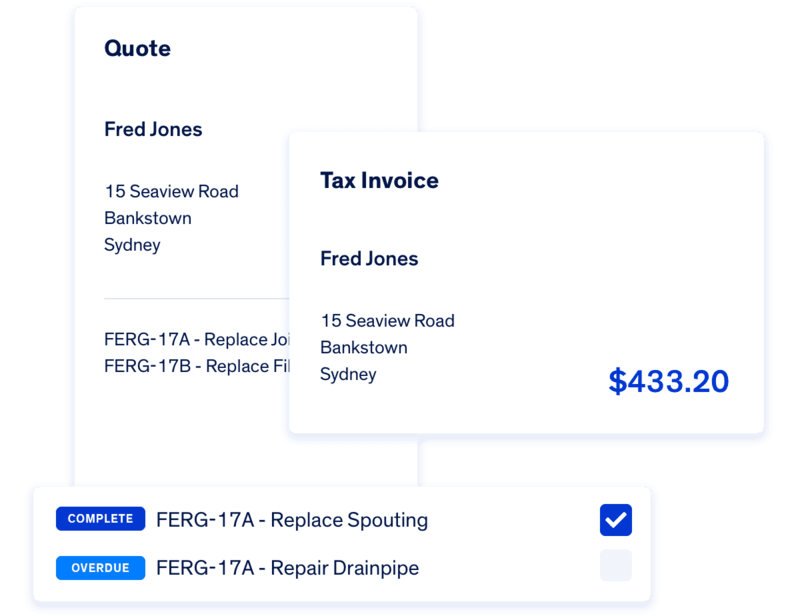 Build quotes and estimates in a couple of minutes and turn them into invoices in the click of a button when you're ready to collect payment. Make quotes as simple or complex as you need, showing your customers as much or as little of the detail as you want. 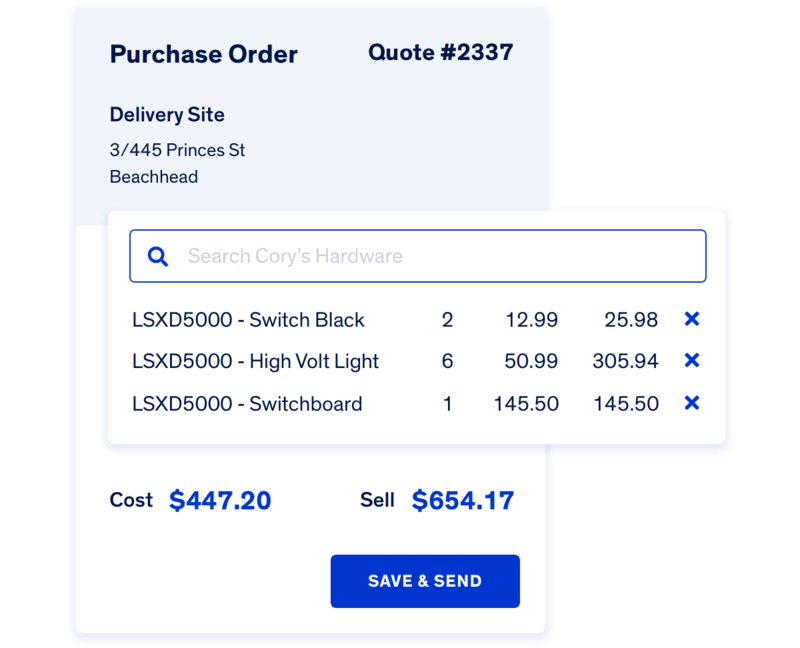 Turn quotes into POs and shoot them off to your supplier in the click of a button. Group materials into templates for jobs you do often. 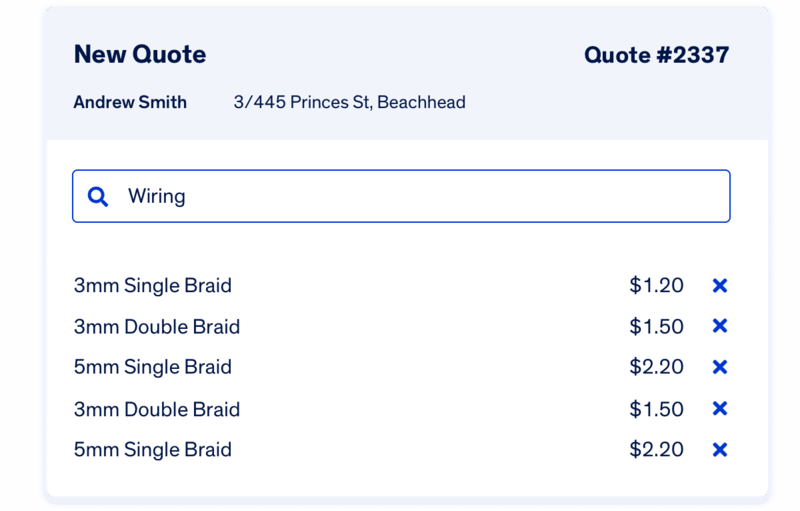 Create an invoice in seconds from your accepted quote, or make changes as necessary. Organise all the materials in your invoices by what was used in each site visit. Fergus automates manual job admin so that you can spend more time growing your business and less time managing it. Connections that reflect everything you do in your accounting package. Send automatic reminders to your customers for quotes, invoices or site visits. Upload your price books and knock out quotes in minutes. Collect credit card payments through the invoice or even on-site using the mobile app.